Part 1: What are Membrane Rafts? 00:02:11.12	-choline, and the sphingomyelin is another type of lipid. 00:02:23.21	hydrophobic acyl chain that's attached to these lipids. 00:02:31.05	the differences between these different types of lipids. 00:03:22.00	have two distinct types of abilities to pack together. 00:03:44.16	fact pack not as well and as compact with each other. 00:09:07.17	are in a passive, thermodynamically equilibrated system. 00:09:45.28	of these membrane domains, you may pick up more. 00:14:09.26	what these lipid rafts might look like in cell membranes. 00:22:48.01	membranes were important for their signaling activity. 00:28:08.20	property of membrane rafts present in cell membranes. 00:33:08.14	solubilizing other lipid components in the cell membrane. 00:33:46.21	observations made in artificial membrane studies. 00:38:13.02	membrane organization in a living cell. Thank you. 00:01:22.15	those criteria to look for rafts in cell membranes. 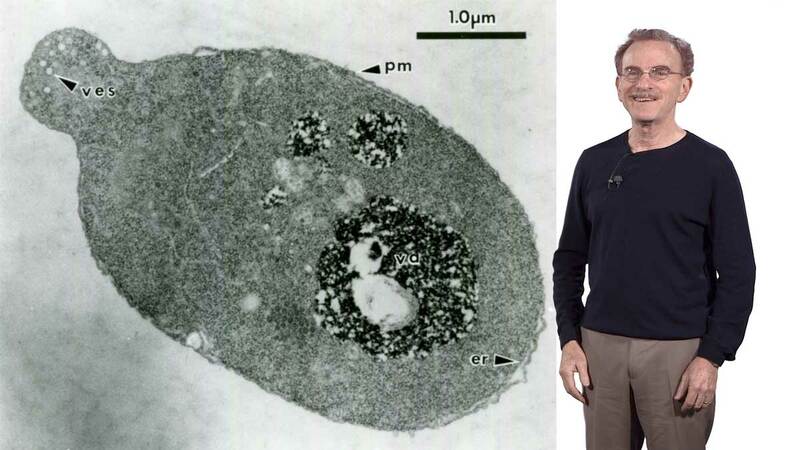 00:03:44.21	they are present in the same endocytic organelle. 00:05:35.13	about 300 different types of GPI-anchored proteins. 00:11:10.25	presentation, I think we should ignore that criteria. 00:21:44.13	then monitor the anisotropy of fluorescence emission. 00:26:34.09	the distances between these different components. 00:27:01.29	scale of our fluorescence energy transfer experiment. 00:29:21.08	fail to fit the data that we get from the experiment. 00:33:49.09	cell to proliferate or continue to grow or stop growing. 00:02:19.15	living cells at the scales at which they demand. 00:02:48.12	also has required new developments in microscopy. 00:03:27.01	able to map the FRET, using this "homo-FRET"
00:04:24.10	distribution in most parts looks quite uniform and flat. 00:11:34.09	organization of membrane components in the cell. 00:12:19.07	supported by, it's sitting on top of, a cytoskeleton. 00:17:49.04	which also can influence the local lipid composition. The plasma membrane demarcates the inside of the living cell from the outside, serving both as the ultimate physical barrier and location where the cell transacts its business with the outside world. The study of the structure of cell membranes continues to be fertile ground for research for many biologists today; the idea of "Membrane Rafts" has only heightened interest in this area. The main focus of this three part series is to explore the concept of "Membrane Rafts". In the first part, we will examine what is popularly understood by the term "Membrane Raft" and ask why this concept was proposed in the first place. This requires an appreciation of the most dominant picture of a biological membrane, "the fluid-mosaic" model. "Membrane Rafts" were hypothesized in response to this model to account for observations of segregation of membrane components made in cell systems. Different proposals to account for the segregation of membrane components and many methodologies used to identify membrane rafts, including the pervasive detergent insolubility method, are also discussed in this lecture. This part is aimed at a general audience or for an advanced undergraduate-level student. In this part, I focus on our laboratory's ongoing preoccupation with rafts where we study the characteristics of a popular "raft-marker", a class of cell surface lipid-tethered proteins, the GPI-anchored proteins. These lipid-tethered molecules are sorted at the cell surface into a specialized endocytic pathway, suggesting their segregation at the cell surface. Here I describe collaborative interdisciplinary work from my laboratory and that of my physicist colleague, Prof. Madan Rao, where we explore the organization of lipid-tethered proteins in living cells using new biophysical tools developed for this purpose. These studies have compelled us to refine the notion of membrane rafts as functional lipid-assemblies consisting of nanoscale clusters and monomers. This organization appears to be characteristic of many other putative "raft" lipids and lipid-anchored proteins at the inner and outer leaflet of cell membranes. Singer, S.J. & Nicolson, G.L. The fluid mosaic model of the structure of cell membranes. Science 175, 720-31 (1972). Silver, B.L. The physical chemistry of membranes: An introduction to the structure and dynamics of biological membranes (Allen & Unwin and The Solomon Press, 1985). Israelachvili, J.N. Intermololecular surface forces (Academic Press, London, 1992). Yeagle, P.L. The membranes of cells (Academic Press, Inc, San Diego, 1993). Simons, K. & Ikonen, E. Functional rafts in cell membranes. Nature 387, 569-72 (1997). Edidin, M. Lipids on the frontier: a century of cell-membrane bilayers. Nat Rev Mol Cell Biol 4, 414-8 (2003). Fielding, C.J. (ed.) Lipid Rafts and Caveolae: From Membrane Biophysics to Cell Biology (Wiley-VCH Verlag GmbH & Co, Weinheim, 2006). London, E. & Brown, D.A. Insolubility of lipids in triton X-100: physical origin and relationship to sphingolipid/cholesterol membrane domains (rafts). Biochim Biophys Acta 1508, 182-95 (2000). Lichtenberg, D., Goni, F.M. & Heerklotz, H. Detergent-resistant membranes should not be identified with membrane rafts. Trends Biochem Sci 30, 430-6 (2005). Edidin, M. The state of lipids rafts: From model membranes to cells. Ann Rev Biophys & Biomolec Struct 32, 257-283 (2003). Simons, K. & Vaz, W.L. 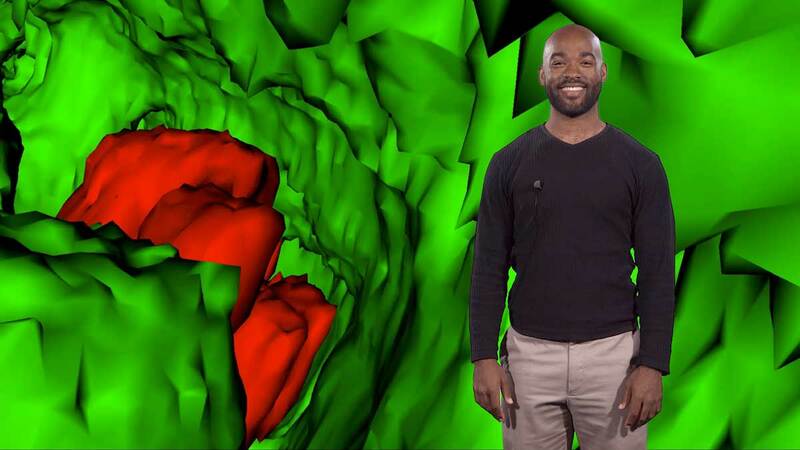 Model systems, lipid rafts, and cell membranes. Annu Rev Biophys Biomol Struct 33, 269-95 (2004). Mayor, S. & Rao, M. Rafts: scale-dependent, active lipid organization at the cell surface. Traffic 5, 231-40 (2004). Kusumi, A. et al. Paradigm shift of the plasma membrane concept from the two-dimensional continuum fluid to the partitioned fluid: high-speed single-molecule tracking of membrane molecules. Annu Rev Biophys Biomol Struct 34, 351-78 (2005). Rao, M. & Mayor, S. Use of Forster’s resonance energy transfer microscopy to study lipid rafts. Biochim Biophys Acta 1746, 221-33 (2005). Hancock, J.F. Lipid rafts: contentious only from simplistic standpoints. Nat Rev Mol Cell Biol 7, 456-62 (2006).